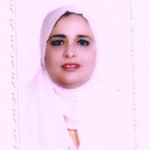 I'm Nahla Khamis Ibrahim, an Egyptian Professor of Epidemiology & Public Health at Epidemiology Department (High Institute of Public Health, Alexandria University) & at King Abdul- Aziz University (KAU), Jeddah, Saudi Arabia. I obtained my M.B., B.Ch (1989), MPH (1996), PhD in Epidemiology (1999) & Diploma of Health Professions Education (2010). All degrees were with honors. Regarding teaching activities, I'm teaching epidemiology & research methodology for postgraduate students at the High Institute of Public Health, Faculty of Pharmacy & Faculty of Nursing (Alexandria University). In Jeddah, I'm teaching postgraduates from different departments of Faculty of Medicine, KAU & Arab Board Medical Degree. I'm also involved in teaching undergraduate medical & paramedical students belonging to universities and MOH & P.
I'm very interested in research methodology & I was selected as a peer reviewer in several International & Regional Journals. I'm currently a distinguished peer reviewer in WHO / EMRO (reviewing 23 manuscript and having a certificate) , Epidemic Journal (USA), Saudi Medical Journal, International Journal of General Medicine, International Journal of Women's Health, International Medical Case Reports Journal, Clinical Epidemiology Journal, Intervention in Aging Journal, HIV/AIDS –Research and Palliative Care Journal, International Journal of General Medicine, International Medical Case Reports Journal, Vaccine: Development and Therapy, Hepatic Medicine: Evidence and Research Journal, Ibnosina Journal of Medicine & Biomedical Sciences, Advanced Medical Education Journal, PLoS ONE Journal, Journal of Media and Communication Studies, & Journal of Public Health & Epidemiology (JPHE). I'm also one of Editorial board of Journal of Biophysics & Biomedical Sciences. I'm a coordinator of several elective modules as research methodology, field survey & Evidence Based Medicine. I've supervised many thesis and about 30 research proposals. I've taught hundreds of medical & paramedical students on conduction of sound epidemiological researches. I was also a supervisor of students' scientific research Club & Youth Research Development Program at KAU. I helped in Students' Scientific Conferences. I'm a member of a committee to review students' researches. I'm helping other staff to develop their research capacities & working for establishing research & training center in KAU. I've about 70 presentation & publications & participated in about 80 conferences & workshops. I'm proficient in different statistical computer package as SPSS & Epi-Info, etc. I'm also very interested in medical education. I've a degree on it. I worked in Quality assurance & Accreditation Unit in KAU. I'm a strategic planner, a Moderator of ML Web Discussion with health professional from Egyptian universities on innovation in medical education (Problem Based Learning, Evidence Based Medicine, and Community Based Learning). I've participated in development of many medical curricula and as master degree in Epidemiology & Biostatistics in collaboration with Harvard School of Public Health. Globally, I was selected to be a Member in Who's Who Encyclopedia in 2011. I've participated on Child Health & Nutrition Research Initiative Network. I'm a member in several International Organizations as Internal Epidemiologic Association (IEA).